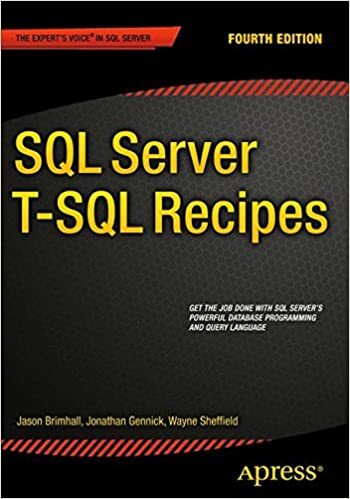 This month Rob Farley is hosting TSQL-Tuesday #3. 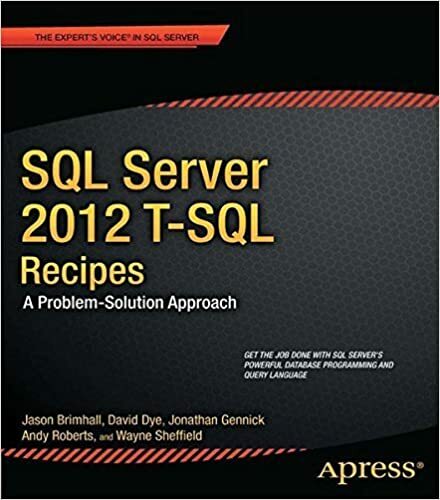 The topic is Relationships and he has left it wide open for interpretation so long as it can be tied to the theme and SQL Server. At first my thought was to republish one of the articles in my series on Primary Keys and Foreign Keys (Part III has links to the first two). I decided that would not quite fit the spirit of the event. Thus a mere mention about the topics will suffice. A few more thoughts rattled off in my head: work relationships, professional relationships, spouse relationships, and Parent Child relationships. There are quite a few paths one could take with this topic. I think discussing multiple relationships would work best for my purposes. Let’s start with the Husband-Wife relationship. My wife keeps me going in my profession. Even though my being a DBA is a love/hate relationship for her. She loves that I enjoy doing what I am doing. She hates that it consumes so much time. I must admit there are times that I hate it too. Specifically when it dampens my plans to build my relationship with my wife. One particular instance was our anniversary (2008). Last minute urgent needs came up from a client that needed fixed. My employer knew I had plans and that it was my anniversary. Unfortunately, I was the only DBA since the other DBA had recently left and we had not filled his position yet. It was an extremely difficult pill since it was not a production issue. It was a new development issue that popped on my desk at 5 and took me well past 9 to resolve. That brings us to work relationships. Some of that is being covered by Sean and Jennifer McCown, thus I will not dwell too heavily on it. Suffice it to say that one must learn the difference between loyalty and being walked on. If you feel that your employer is taking advantage of you, maybe it is time to find somewhere better. Sometimes it is best to do that sooner than later. The worst thing that could happen is have your work turn into a hate-fest. Don’t let your employer dampen your mood on being a SQL Server DBA. Despite the anniversary incident, I still really like that employer and I really like the environment that I helped to build. It was a very difficult decision to leave. The decision was made in part for the opportunity to set off on my own. I’m still working on that. Setting off on my own and starting my own business is a difficult process. This means more networking, more professional relationships, more self marketing, longer hours, and less time with family. What helps here is that it is a goal to achieve and my wife supports it. Supporting my children with an uncertain client base is a very difficult adventure to undertake. Not seeing my children on a regular basis is also difficult to undertake. Having that Parent-Child relationship not become a Foreign relationship and remain a Primary relationship is the ideal path for me. And now we come back to how this relates to SQL server. Databases are full of tables that should represent different data and characteristics. We tie those into a governing table from time to time, and call it a Parent Table. Life is much the same. When you have children, they have their own unique characteristics. Sure some of their make-up is similar to mine, but their characteristics and traits are their own. My children have their own unique traits, characteristics and identities. There is no doubt they are mine – but they are their own little beings. That may be a little too loose on the tie between family and SQL – but it is valid. I would also venture to say that, like a well tuned database, not all settings,rules or methods work the same for all databases – just as not all methods and rules work the same for the children. It is a constant process. One must continually improve their skills and methods to be as efficient as possible while maximizing the best results.